I want you to stop reading how to make money online and start your own internet business now. The reason I am saying this is obvious. I had said it earlier, many of these articles are written by those who never made money online. As a matter of fact, they don’t know how to make money online. They online copy or re-write what the experts publishes. Again, most hungry bloggers on this topic makes it sound so easy that you can just make millions of dollars if you follow few (unproven) steps. In fact, there are bunch of lies that fake internet gurus tell on daily basis just to lure you to give them your money. Is there any real thing like that? It’s far from it. It’s not that easy if you don’t learn it. Even if you read a very successful case study of internet business breakthrough, you will still find it difficult to understand it if you are new in online business. The point is that it’s harder to understand what you are reading if you are fairly new to it. Do you imagine that many of my subscribers don’t even understand what I am writing? I am not afraid to say it but it’s a hard truth. It’s not that I don’t know how to write or my grammar is far too awful. But, they don’t seem to understand the terms that revolved around these make money online thing. I received so many emails and phone calls from many of my training subscribers on how to start internet business and make money from it. To be frank, no one phone call or one email reply can answer this question. What I mean is that you can only learn internet business when you are in the business. That is the reason most online business seminar participants don’t usually gain from a single day event. 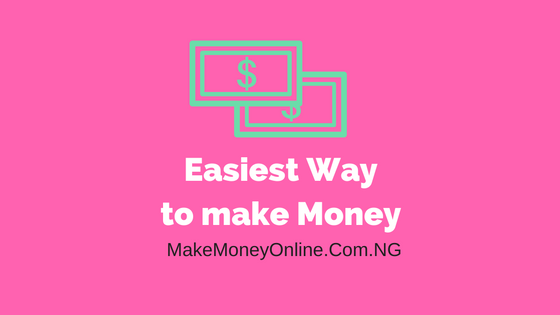 I started reading about how to make money online back then in June 2012, when I was doing my NYSC. I actually read a lot on that topic. I did not understood it or even know how to start. This is normal. Internet business is a fairly new knowledge to so many people. It’s not thought in homes or school. The information I read sounded like magic. I often imagined how someone could get money from the internet. I tended to ask, how will you receive this money? All these were bunch of dilemmas I found myself. I felt frustrated a lot, but one thing helped me out. And that was the key to my success. In August 2012, I created my first blog which was named Examsguru.Net. On the blog, I published examination tips, tutorial, school news and exam past questions. I told myself, let me just start it and I did. I updated the blog with relevant articles every time. But you know what? I did not make any money from it. In fact, I did not even know how to make money from my site. I made a lot of mistakes, I applied for AdSense and I was rejected. I felt frustrated. A very big mistake I made is that I unknowingly bought a very costly web hosting . So, I ran into huge loss when I realize that one year is gone without making a dime. But in the process, I learned something. I learned internet business because I later realized how it work. In April 2013, I started selling past questions to my readers. WOW, my eyes opened up at that time. I created more examination preparatory materials and sold to many people who needs them. My income skyrocketed and I decided to change the name from that blog from Examsguru to myPastQuestion.com. Today, that my trial and error knowledge now becomes the largest exam past questions database in Nigeria. 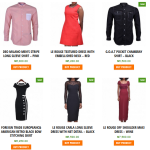 Currently, the site makes over 400k per month from sales and advertisement. There is one message I want you to get from that story. That’s why I said earlier that you should stop reading how to make money online, rather start internet business. There are many types of online business you can start. I have shared a lot of them on this blog. Luckily for you, there is a person you can call and ask questions when you are confused on anything. That’s me. When I started out, I was on my own. I made all the mistakes, I had all the frustration and I learned my lessons alone. But for you, I can help you get the basic. I am there to advice you on every steps on the way. All you need to be a little professional. Internet business is not a get-rich-quick business. 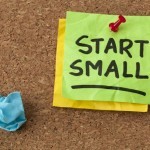 Just like any other business on earth, you need to start it and nurture it. Don’t be overambitious that you have created a blog today. It does not mean that you will make money from it immediately. 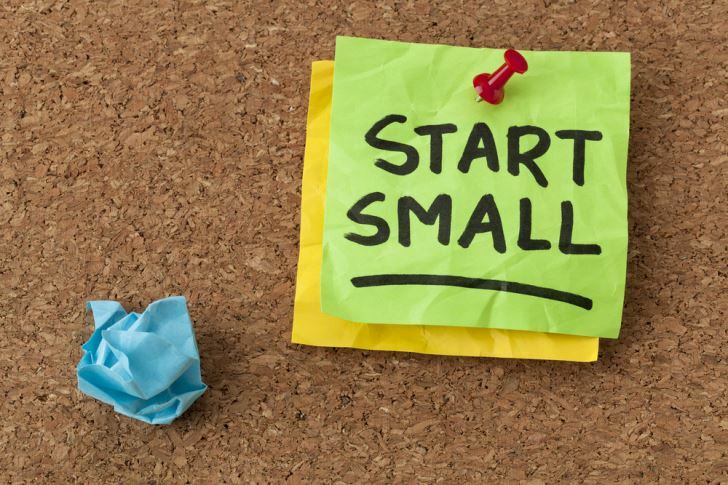 Start it… Give it a period to grow while to do your best in watering it. This is the best advice ever in business. Re-examine yourself again. Do you think you know what other people needs? Do you have an interesting hobby? Are you a graduate waiting for job? 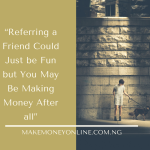 Do you have job already but need an extra income? 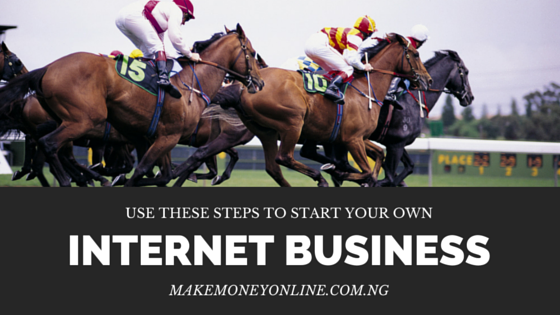 If yes is your answer, learn internet business by starting one today. Start a blog, after that, you can then explore how to use that as a contact point to so many other ideas. One of my Stuart Walker started a blog called NicheHacks. He had a blogging plan. Today, the blog has become a 6 figure business. Many other people started like this. The next step is starting a blog. I mean a professional one. What I mean by a professional one is a self-hosted blog. With that you have control over everything that is happening to it. It’s simple to get this done. Luckily, there is a Bluehost you can use while you learn. With about only $1.99 per month web hosting, you can create fully optimized WordPress blog. Create it and start learning with it. Ask me anytime if you have questions. There are so many ways to contact me. It could be emails or direct calls. I do have plan of relocating to a busy city like Lagos, where I will conduct live training to interested learners. This training is free. However, I have few paid services I do render to many of my readers. The fees are fairly considerate. I have my contact details on the hire me page. Thank You sir For your great articles .. I have a blog already http://www.kissgramich.com i made different kinds of mistake in that blog that any time i login to my dash board i fell annoyed despite all my time, energy, skipped sleep. Every thing is just not going on smoothly.. even though my Theme is a premium theme, My Yoast SEO is also premium am just being frustrated. My biggest challenge is i have duplicate content, Anytime i search for my site on search engine..OH God! is an Awful experience that pist me off. instead of seeing my post index i rather see images i attached in those post, and other crawled pages like TAG, ABOUT ME, CONTACT, AUTHOR PAGE, even social media such as Google plus and facebook and twitter interfere rather for me to see my post indexing i get all this things. to make it a bad new….Google Adsense rejects me. (Syndicated Contents ) Some time i fell google are a little bit partial. To be frank i have learned alot from my past experience but fixing duplicated content and how to rank high on Google is really my biggest challenge at the moment. I will be glad if you can advice me on what to do..i will really appreciate. What if someone has no idea or topic to blog about, how can you assist or what do you advice? Yes, but the best things is to write on topic you are really familiar with. These could be your hobbies, passion or your interest. But they gave example with China and India i want to know if Nigerians are also included among the country that should wait for six months before creating the adsense? Secondly, as I was about creating the website with the ipage which you directed on your ebook, I was ask for a zip code, credit code and I was also asked to put a card number or PayPal I don’t understand what to do with the above lists and lastly, is dormain name the same thing as your website? Okay, Nigerians don’t need to wait for 6 months before they can apply for AdSense. All you need is to follow their guidlines and your blog will be approved. See the full lesson on how to get AdSense approval with a new blog. Thanks for the lesson and iam hoping to give it a try. i shall try creating a blog, thanks for the lesson. Can I create with a blackberry phone ? 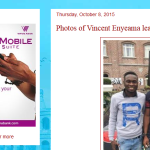 Yes you can create a blog with android phones. I don’t have any business doing for now ; but I have novels and plays which are not yet published due to lack of finance. Now m y question is:how do I start an online business without having an article to sell to the subscribers or is there any other way one can make money without selling anything to people? 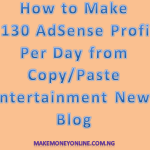 (4) make money from advertising from your website or blog. 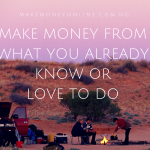 Those are the four basic ways I am using to make money online and they are very effective. Now If you have novel and play, why not develop it and publish on popular books stores. If you have plays, you can create your own video channel on Youtube and screen them there. You can be making money from youtube ads and you can even sell your books directly to viewers. but what and what Am I to advertise, is it anything I wish to or should I contact the service or product owner before advertising or should i just download anything good which could be beneficial to people and start advertising? If I do so, won’t I be punished for advertising other peoples product for my own benefit? You will not be punished to advertise affiliate products. At the end of the day, if you are able to sell the product, you will be paid a commission. This is called affiliate marketing.